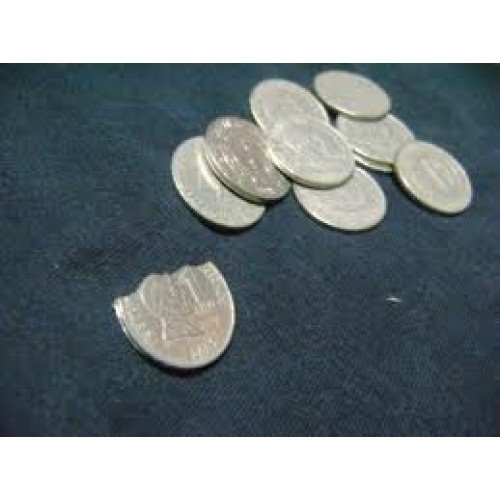 A coin borrowed from a spec & a piece is bitten from it. The coin is shown in full view with the piece missing. The Magician draws attention to the bitten coin & spits the missing piece back at the coin. Instantly, the coin is restored to its original state. The borrowed coin is then handed back to the spectator.